In the past years, many small cocoa farmers in Kulon Progo, Yogyakarta's Eastern district, were facing financial difficulties. Growing cocoa became an unprofitable business and many had to close their plantations. One of the main reasons is the common practice to get fast returns by selling raw and unrefined cocoa beans, whatever the price to be paid. But the beans are of low quality, not worth much and even worse, the kilo prices constantly dropped. The farmers had to increase their cocoa yields, even though they didn’t get more in return. An abandoned cocoa plantation in Kulon Progo. With many damaged trees which, over a decade, have not really been taken care of, but still remain productive. As a result, after decades of growing cocoa, many farmers could no longer earn a living from it. Many began to plant other, more lucrative crops. Others looked for work elsewhere and left behind their cocoa plantations. 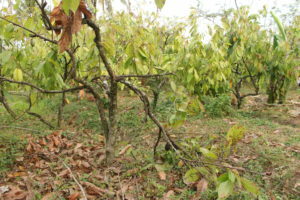 There are still many abandoned cocoa plantations to be found in Kulon Progo until today, with productive trees growing cocoa. Unfortunately, most of this cocoa is neither harvested nor does it provide income for anyone. Monggo wants to help the farmers, who are affected by the situation described above, to make a living from cultivating cocoa again. But getting an abandoned cocoa plantation to run profitable again requires not only a lot of effort and investment. Even more important is to make the farmers believe in the cocoa business again, especially after it caused them enough financial worries in the past. And finally, it needs a fundamental change of the prior business strategy, to avoid any recurrence of the past difficulties. The small harvest of fermented beans he produced before working with us (September 2017). This is where Monggo gives advice and promotes a completely new approach. 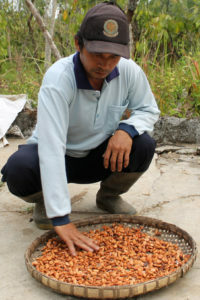 Instead of continuing to produce low quality cocoa beans that are sold directly to provide fast but small returns, Monggo encourages the farmers to produce high-quality beans. Therefore, Monggo shares its knowledge about refining processes such as roasting or fermenting. Monggo has been working with farmers in Kulon Progo, who are interested in Monggo’s approach and started to rebuild and improve their cocoa production. In the beginning, basic tools and equipment were provided, especially for the refinement of the bean. Once the farmers learned to improve the quality of their cocoa beans, their harvest and its value increased remarkably and they're able to ask higher prices for their premium beans. Besides encouraging the production of premium beans by sharing knowledge and providing guidance to the farmers, they also receive monetary support from Monggo. Especially at the beginning, preparing an abandoned cocoa plantation for production needs investment. 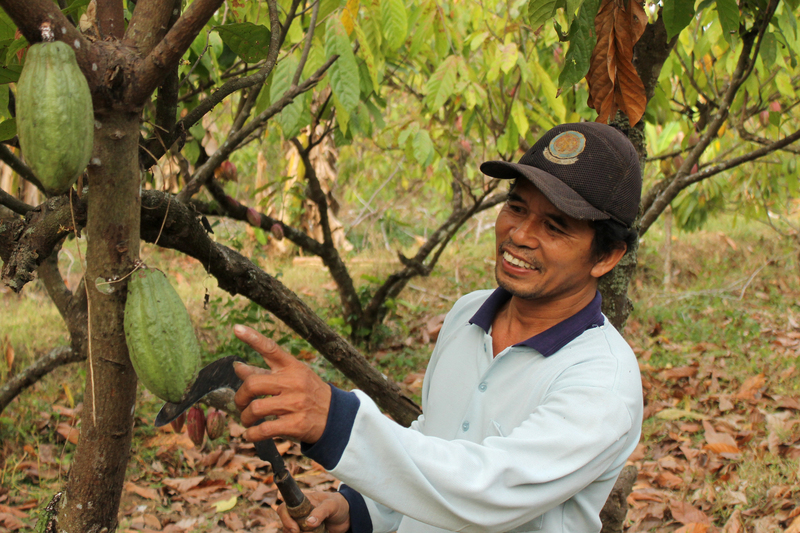 Therefore, Monggo provides some cocoa farmers with credits or advance payments for their expected premium cocoa beans. Because later when the farmer's production meets Monggo’s standards, Monggo is willing to purchase their premium beans at a higher price per kilo, while the farmers can make additional sales on their remaining beans. 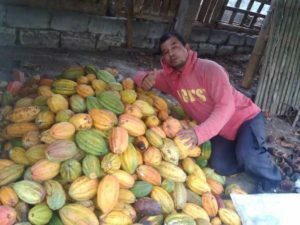 Monggo has helped this farmer to drastically increase the cocoa harvest as well as the beans quality, he now supplies Monggo with his premium beans and gained financial independence again, from his cocoa alone (September 2018). Speaking as an experienced one – to – one dating coach and life transition consultant for disabled individuals, specialist sites could also prove very useful when it comes to people meeting up for the first time. You talked about the patterns Love is a Mystery on dating apps.